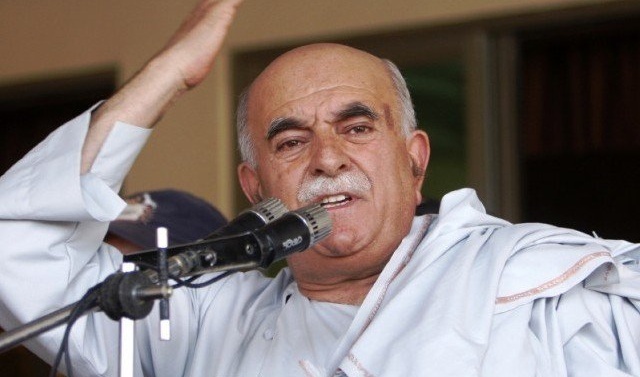 ISLAMABAD: Chief of Pakhtoonkhwa Milli Awami Party (PkMAP) Mehmood Khan Achakzai has said that Pakistan should make the first move and initiate the idea of an independent Kashmir. “Why don’t we adopt a new policy on Kashmir dispute..Let Kashmir be free from both India and Pakistan..Kashmir is the root cause of many issues between both the countries. Why not we take the first step to solve it,?’’ the Pashtun leader told BBC Urdu on Friday. He said that by putting forward this suggestion, Pakistan would be able to tell the world that is sincere in resolving the dispute. “We agree on referendum, yet we blame each other. The masses, however, are dying. We need to have better relationship with our neighbours,” Achakzai said. The restive Himalayan region suffered a rise in violence last year after the killing in July of Burhan Wani, popular young rebel leader in a gun battle with Indian soldiers. The PkMAP chief said the Afghan issue became global when Soviet forces invaded the country. “Now, we should pardon ourselves from such situations,” he said. “America and our establishment is well aware of whoever they have trained, now they should get rid of them, and if they do not take it seriously, this region will burn to ashes”. He said Afghanistan’s autonomy shall be respected, or else destruction can take place. ‘’Please repent, our establishment must step back, must not interfere in elections, kindly put an end to the game of ‘safe havens’, learn to trust people, whoever comes from public mandate must be trusted,’’ Achakzai said. While Islamabad blames Kabul for hosting militants responsible for carrying out attacks in the country, Afghanistan also routinely accuses Pakistan of providing safe haven to the Afghan Taliban. If Pakistan, he added, works with sincerity, 60% of issues with Afghanistan will be resolved. Last year, the Pashtun nationalist leader had stoked a controversy after he reportedly said that Khyber-Pakhtunkhwa province ‘belongs to Afghans’.